In oxygen-air pressure lock at right is first born, a boy. 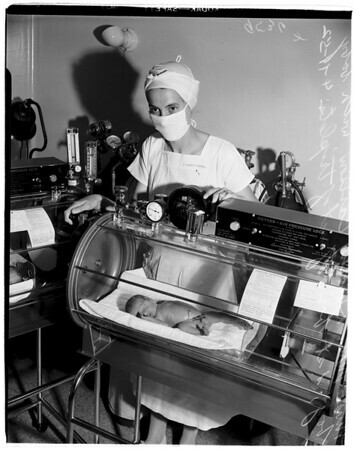 40: Nurse Carlson with boy and girl. 41: Nurse Carlson with boy first born".